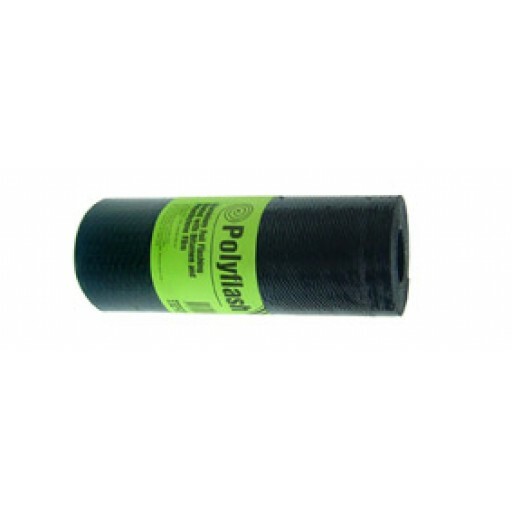 Polyflash is a bitumen coated 99%% pure aluminium foil core dampcourse laminated both sides with polyethylene film, embossed toprovide a mortar key. The aluminium foil core is coated with bitumen and polyethylene to prevent lateral corrosion. USES: Polyflash is used as internal (non exposed) damproof flashing around windows and doors in domestic applications. Polyflash is also used in some commercial and industrial applications. Not affected by lime or cement.